Update 2018: Dolphin Discovery is closed. Anguilla Dolphins Jumping Effortlessly Through the Air! But these were not wild dolphins. 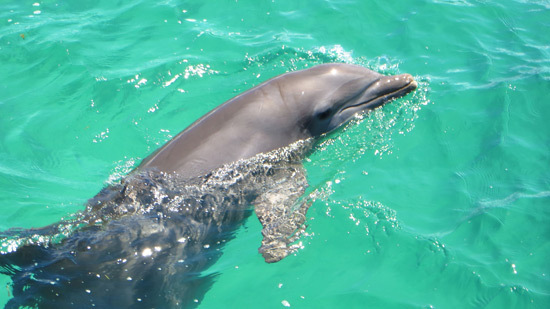 Wild dolphins and dolphins born in captivity are two different breeds, like wild horses and horses used for show. And these ones were certainly putting on a show. 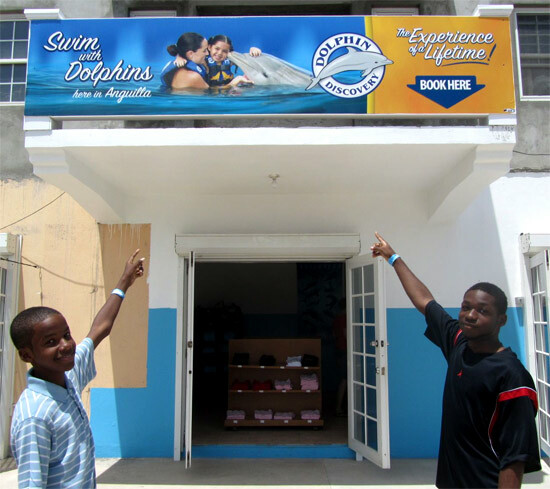 Other than word of mouth, we had not heard much about the coming dolphin facility in Anguilla, referred to as "Dolphin Discovery Anguilla." We knew that they were completing work on a dolphin enclosure in Blowing Point. We had even heard word that the dolphins had arrived via airplane. Here was our living proof! The sight jolted us from our summer slumber. By the time our ferry docked, our curiosity about this under-wraps facility (without any official opening announcement yet) was well piqued. Being the intrepid explorers that we are, we took a left turn leaving the ferry terminal. Home could wait. 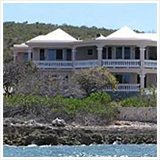 We were going to explore Dolphin Discovery Anguilla. What we found was a visually impressive setting. 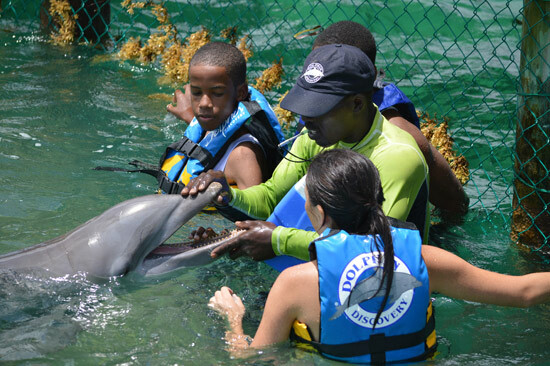 Right in the clear turquoise Caribbean sea, and with the spectacular scenery of St. Martin as a backdrop, Dolphin Discovery impresses from the start. In the distance, we saw a family wrapped in life jackets walking the picturesque wooden boardwalk. Men in brightly colored rash guards led the way. We climbed over the roped-off entrance to the jetty (it was roped-off as the facility had not officially opened). We had to follow them! 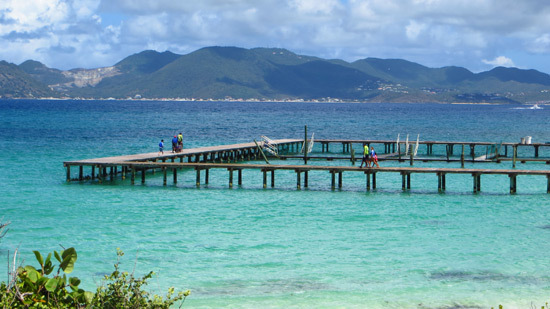 Side Note: The long boardwalk is the perfect place to take in all of Anguilla's scenery, and to enjoy tropical trade winds. Jumping and squeaking, the dolphins seemed to be in good spirits, happy to have human companionship. 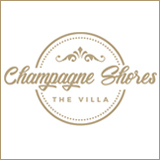 The staff was friendly and so welcoming. It turns out that the dolphins were getting lonely waiting for the facility to officially open. 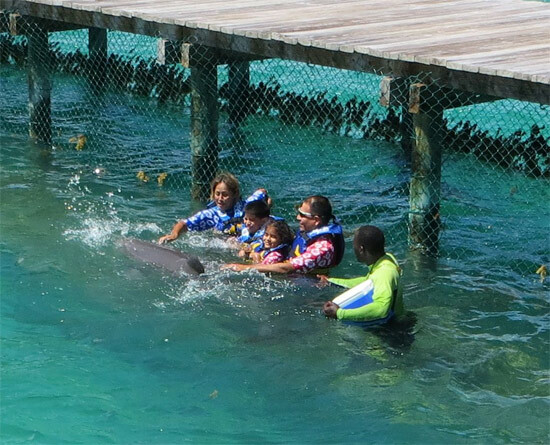 The trainers and vet had asked families in the area to come talk to the dolphins, play with them, and keep them happy. These dolphins, after being born in captivity and after years of training, enjoy human companionship and form human bonds. The excited family seemed to be having just as much fun as the dolphins! 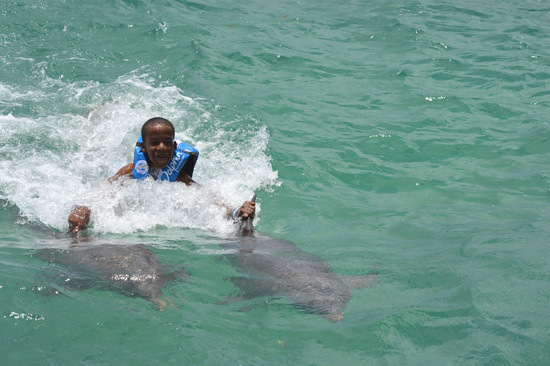 The spectacular setting, the dolphins' laugh, the family's joy... A desire to be part of the action formed. Shortly after, Romaro Richardson and Jahvade Martin and I shared an experience we will never forget. 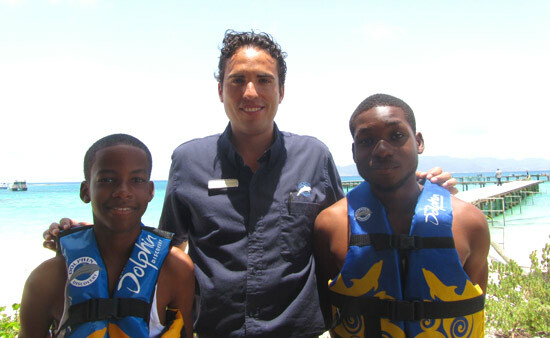 Romaro Richardson and Jahvade Martin are Anguilla-Beaches.com's first interns. 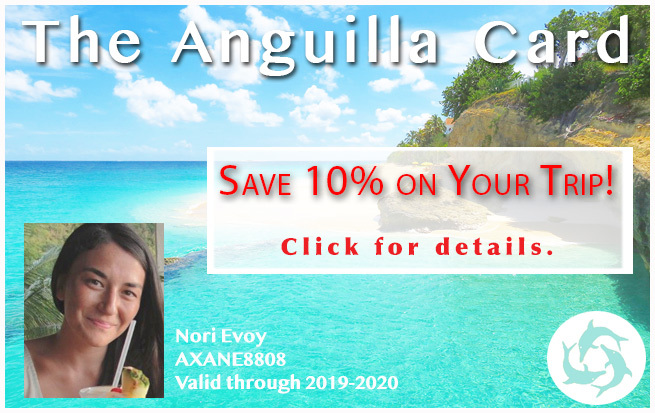 Anguilla-Beaches.com now offers an internship program for students and recent grads of Albena Lake Hodge Comprehensive School who are interested in learning internet marketing skills. If you are interested in participating, please click here to contact us with our contact form. 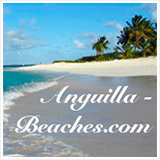 When filling out the contact form, please note that you are interested in Anguilla-Beaches.com's internship opportunity. 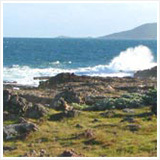 The drive to Dolphin Discovery in Blowing Point (where the ferry from St. Martin comes in) was a nerve-wracking one. We had never been swimming with any type of sea creature! 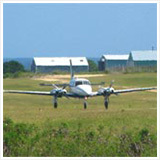 It was a quick ride to Dolphin Discovery's main office in Blowing Point. 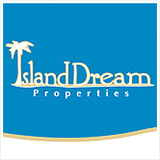 The office and facility are centrally located and easy to get to if you are coming from anywhere in Anguilla, or from St. Martin. 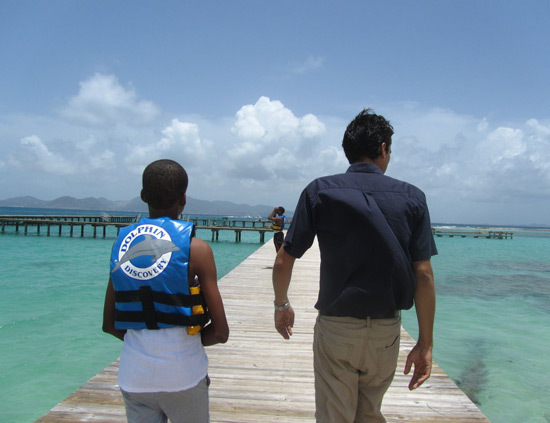 It was there that we met Alejandro Raygoza, manager of Dolphin Discovery Anguilla. He kindly welcomed us. We rode down from the office (where they also have showers, changing rooms and a souvenir shop) to the dolphin facility in their shuttle (just a two minute drive). "Are you ready?" Alejandro asked excitedly. It was time to walk the plank! Alejandro went with us down the jetty. 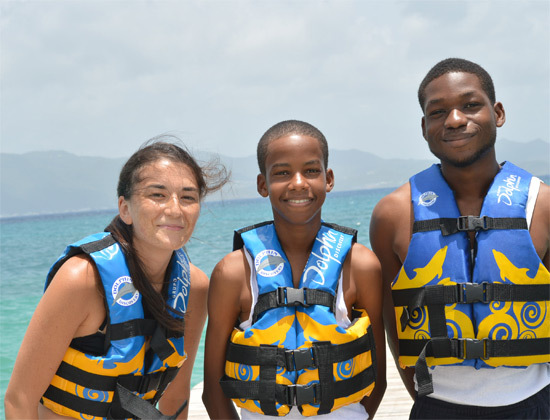 He told us about his background, and the background of Dolphin Discovery Anguilla. 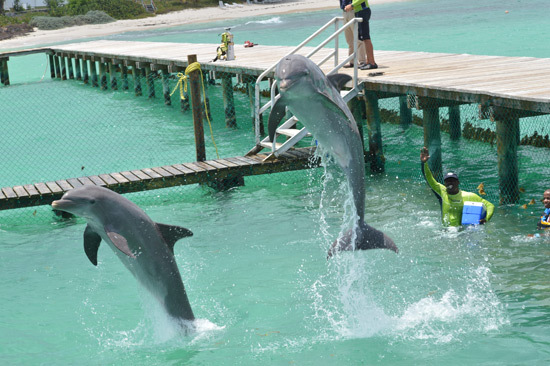 "When it's completed, this will be the largest dolphin facility at 600 square meters! 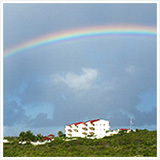 And, did you know that you will be hanging out with Anguilla power today?" 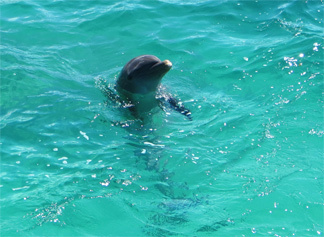 Two of the facility's four dolphins are Anguilla-born. 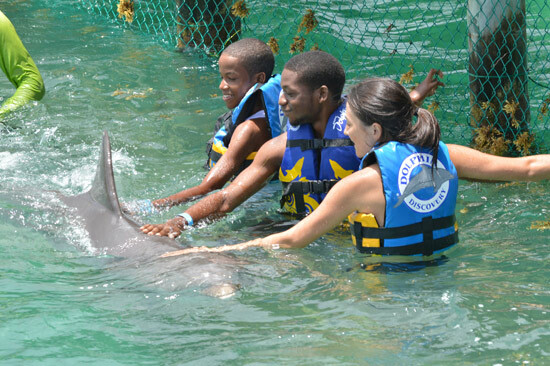 Lilo and Coby were born at Dolphin Fantaseas Anguilla, the facility that used to be in Meads Bay back in the early 2000s. Lilo and Coby have been around the Caribbean and Mexico since. They have finally returned home. The two other dolphins are close to home too. They were born in captivity in the BVIs. 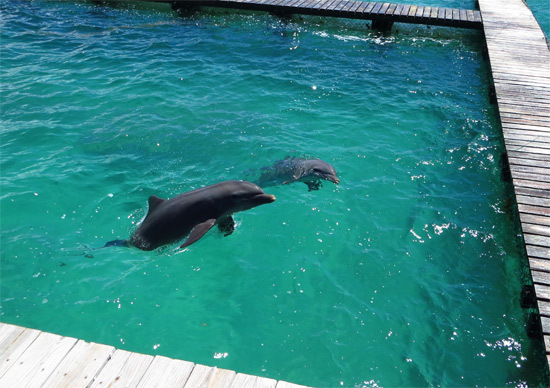 Walking the long jetty to get to the dolphins sure ramps up the anticipation of jumping in the Caribbean sea with these creatures! Alejandro made sure our life jackets were buckled tight. It Was Time to Swim With Lilo and Coby! We reached the end of the boardwalk where more of the Dolphin Discovery staff was waiting. Alejandro introduced us to his kind and friendly team. The principal trainers and vet live on-site and spend each and every day with the dolphins. We all must have looked slightly nervous. The next thing they said? "Relax! This is perfectly safe, and FUN!" Note: The photos of us swimming with the Anguilla dolphins were taken by Dolphin Discovery's photographers who are always on site. It gave us peace of mind to not have to worry about getting our cameras wet to capture the memories (the photographs are available for purchase). We walked down a steel stair case from the boardwalk into the Caribbean sea. The stairs land on an underwater grate. 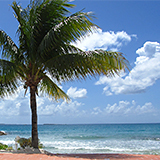 We stood on the grate, the refreshing and clear Caribbean sea all around us. From the moment my feet touched the water, all fear and anxiety disappeared. Seeing such grace, beauty and power just inches away was awe-inspiring. Lilo and Coby's trainer, Max, greeted us warmly and gave us an encouraging smile. With a tweet of his whistle, Lilo and Coby were ready to go! Their skin is slippery and smooth, with an almost rubbery feeling. 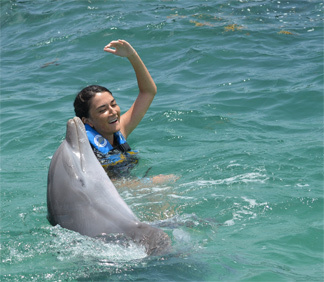 The dolphins mimicked us as we danced in the Caribbean sea (see photo below). Just how smart they are became evident quickly. They were gentle, and closely followed all of the trainer's directions. While we were getting to know Lilo and Coby, more of the Dolphin Discovery crew was up on the boardwalk. It is reassuring to have Max by your side, and to have more staff atop. We felt secure and taken care of the entire time. Max informed us about the dolphins. We learned about their teeth and how they eat. He explained their power, and about how their tail is their strongest area. We were about to find out just how powerful it is! "Swim about 10 feet out," Max pointed to the middle of the area where the dolphins were swimming. "Are you sure?!" Jahvade questioned, eyes wide. What had started as a peaceful way to get close to and admire a beautiful animal, soon turned into a more adrenaline-filled afternoon. 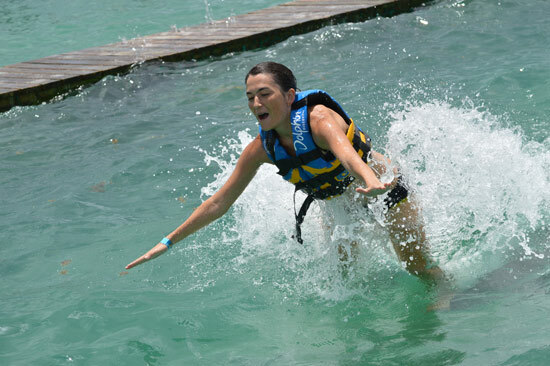 Hovering in the Caribbean sea, watching dolphins swimming below you, is an exhilarating feeling. "Put your arms out to the side, and lay your palms on the water," he told Jahvade. What Max called the "Foot Push!" He told us to stand straight in the water, our feet flat. A dolphin on each side, they swam below us and pushed us up by our feet. All I felt was the dolpin's pure power, launching me high into the air! "That was an experience of a lifetime," both Jahvade and Romaro exclaimed! This dolphin encounter showed us just how gracious, smart and powerful these animals really are. We walked away with a higher appreciation for these intelligent creatures, and the kind staff who make it a pleasurable, safe and educational experience. Hundreds of thousands of people dream of swimming with the dolphins. 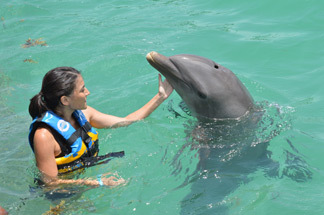 Dolphin Discovery delivers that "dream," while keeping the dolphins safe, healthy and ensuring they are well-cared for. 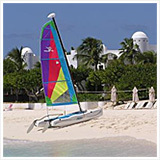 In one of the most stunning settings, Dolphin Discovery Anguilla is a more natural and intimate swim with the dolphins experience. 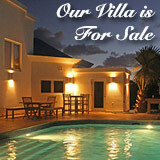 If you are traveling to Anguilla or nearby Caribbean islands, it is well worth the visit! 'Til next time Dolphin Discovery!